Home / International Football / Africa / PUMA signs multi-year partnership with Egypt Football Association! 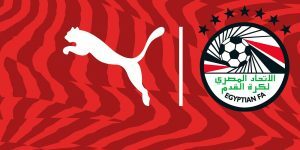 German Sports company PUMA has signed a new multi-year partnership with the Egyptian Football Association, which will see the brand once again team up with Africa’s most successful team. The deal allows PUMA to continue its proud legacy with teams on the African continent and cement its reputation as a leading supplier to football teams in the region. The partnership between PUMA and Egypt will build on a proud legacy: When the Pharaohs last wore PUMA, they won three consecutive continental titles between 2006 and 2010, an unprecedented feat in the tournament’s history. Overall, Egypt has won seven continental titles, making it the most successful team in African football. Starting 2019, PUMA will provide all representative national teams, including men’s, women’s and youth teams, with official kits. “It is great to be back with the big cat in 2019. We share many happy and successful memories together and hope we will hit the ground running in what will be a very important year for Egyptian football,” said Hany Abo Rida, President of the Egyptian Football Association. Previous VIDEO: BOOST BFC Inter-School Soccer Shield 2019 – Star Of Day Nine! Next Struggling AS Monaco fire club legend & head coach Thierry Henry!